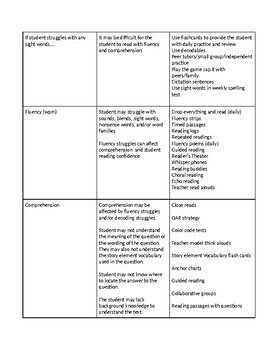 Do you have students who are reading below grade level? Do you ever feel overwhelmed when trying to plan small group instruction? You are aware that your student is struggling; however, you do not know where to start to help the student grow. 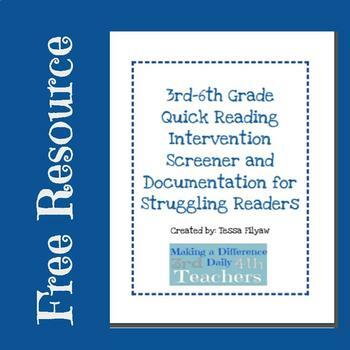 This product provides you with a one page reading intervention screening checklist. 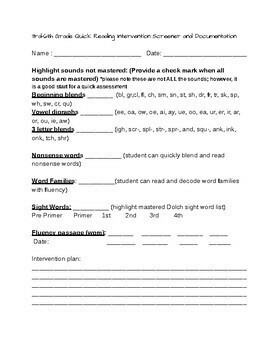 It helps the teacher to determine what missing skills are preventing the student from reading on grade level. I also provide you with a If the student is missing.... Then.... 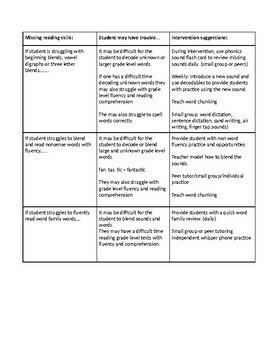 Chart to help you plan your small group and intervention instruction. I use this checklist with my struggling 3rd and 4th graders. If this product was helpful, please take a moment and rate it.